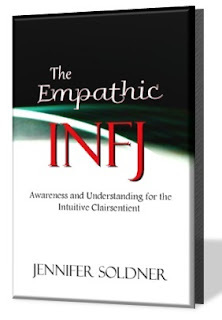 The INFJ personality type is known for being the rarest type. The statistics may be difficult to pinpoint, but the general consensus places INFJs as making up only one to three percent of the world’s population. If you are an INFJ male, you can cut those numbers in half. When you look at that as a slice of one hundred percent, that is a pretty bleak number when you are hoping to find people who get you. It is no wonder that many INFJs struggle with the belief that no one understands them. But let us look at these numbers from a different perspective. There are currently 7.5 billion people on the planet. Taking the low end statistic of only one percent of that number means that there are 75 million INFJs in the world. That is a lot of people who understand what it is like to think like you do. It suddenly doesn’t sound so bleak, does it? Allow me to give you another more visual perspective. Let’s look at redheads. I am sure you see redheads often at the supermarket, restaurants, or maybe even at your place of work. If someone told you that you would see a couple of redheads within the next week, odds are that you would agree with them. If you made it a point to notice redheads, you would probably be astonished by how many you bump into on a regular basis. Now what if I told you that redheads make up only one to three percent of the population? It’s the truth. The exact same percentage as INFJs and yet you see them all the time. Granted, you do see more blondes and brunettes, but if your goal was to find a redhead, it wouldn’t take you long to spot one. The same is true for INFJs. They might not be as common as other personality types, but odds are that you encounter a couple every week without even noticing it. Just as you don’t broadcast your personality type, they aren’t flashing a beacon either. But the reality is that you come across several people throughout the week that understand what it means to live as an INFJ in Save & Exit this world. When you find yourself re-thinking those same unhelpful thoughts that no one understands you or that you are too different to meet anyone like you, just think of the number 75 million and take a look around you. People just like you are everywhere. Want to read more? 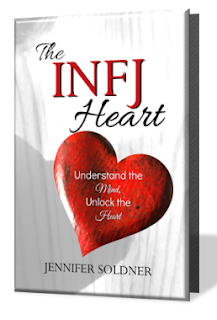 Grab your copy of INFJ Friendships: Making Real Connections!